Hi there! I’m Alli from Made with HAPPY. 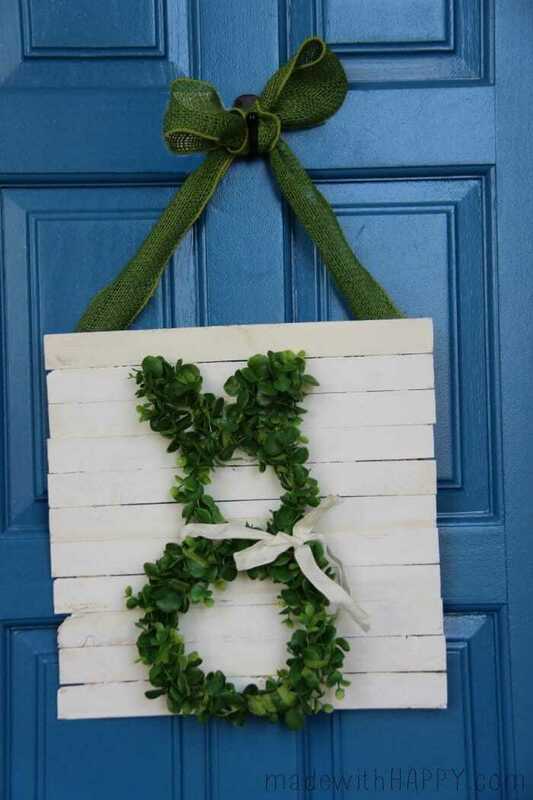 I’m so excited to be over at MomSmack today sharing a fun DIY (do it yourself) Easter Craft that is sure to brighten up any door. 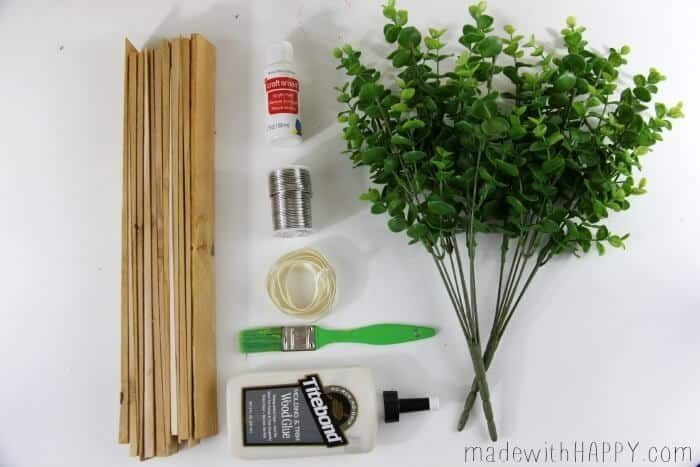 Today we’re making a Boxwood Bunny Door Hang! Here’s how we do it. 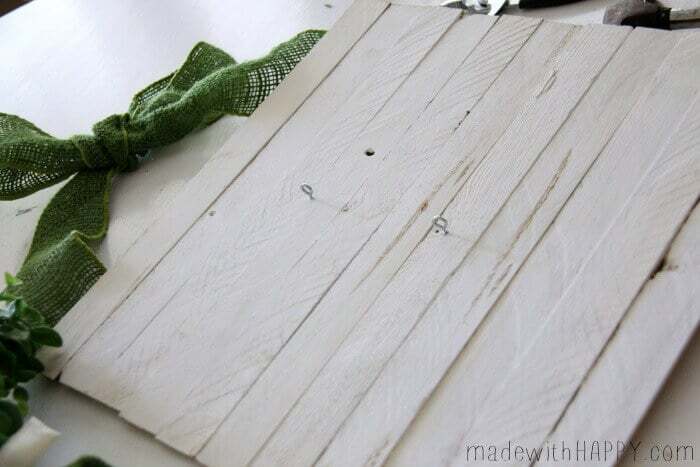 Start by laying out your shims. 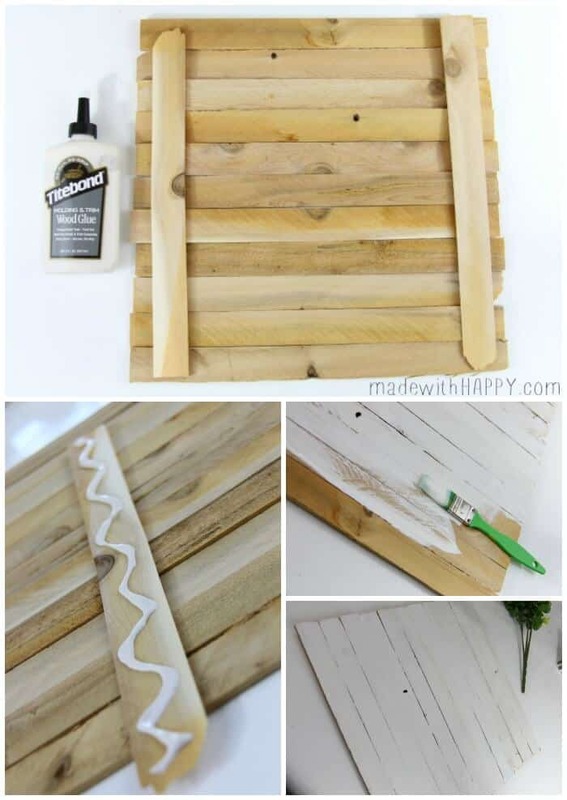 I love shims because they are very inexpensive (just a dollar or two per pack) and they give it a pallet feel which we know is all the rage. Using the wood glue, glue down the two cross pieces which will hold all the rest together for the back panel of the project. Paint the front of your panel white. 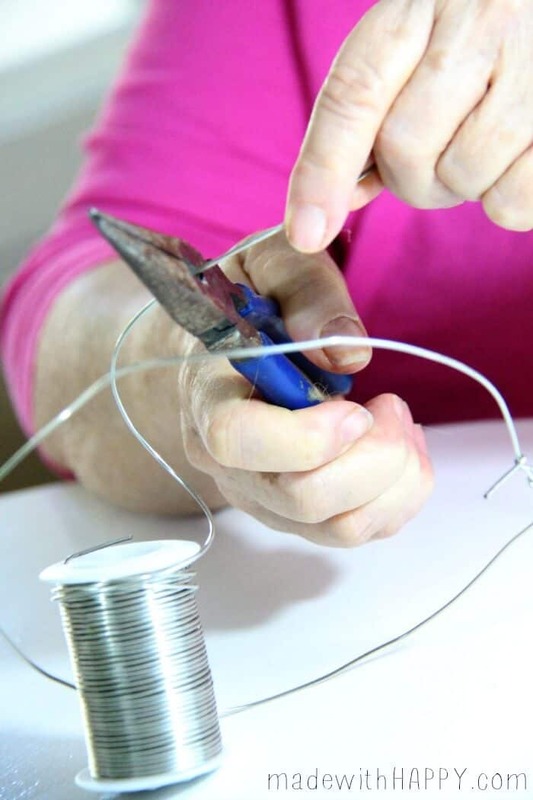 Next using your craft wire, make two circles for the body of the bunny. Then form two ears. Remember you want it to fit onto the back panel, so keep measuring as you’re bending and forming. 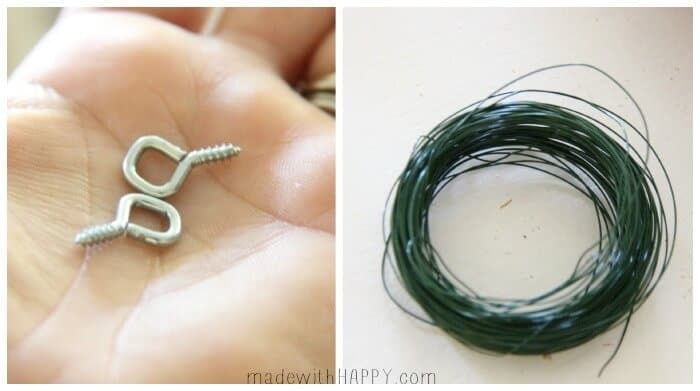 The 16 gauge craft wire is easy to form, but is strong enough to hold its shape. 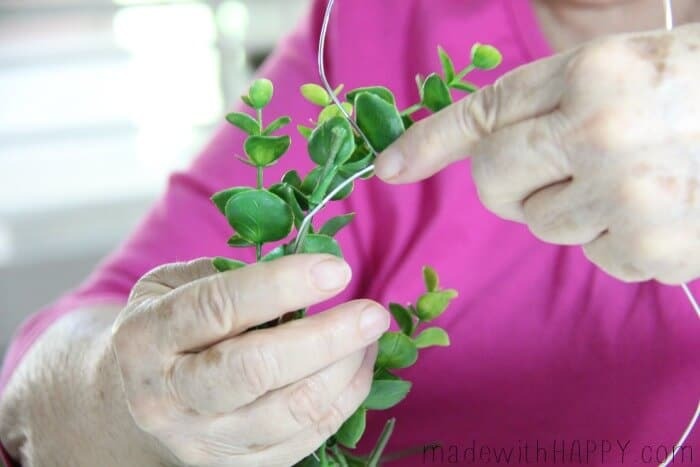 Simply begin to wrap the greenery around the wire. 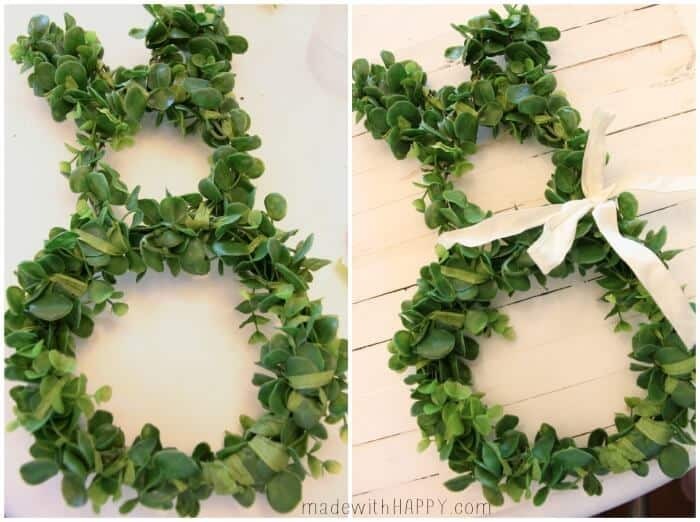 Using the floral tape, tape down those pieces that may be sticking out. Make sure your wire is fully covered. Wrap the white ribbon around the neck of your bunny and tie into a bow. Next, we’re making a bow out our green burlap. 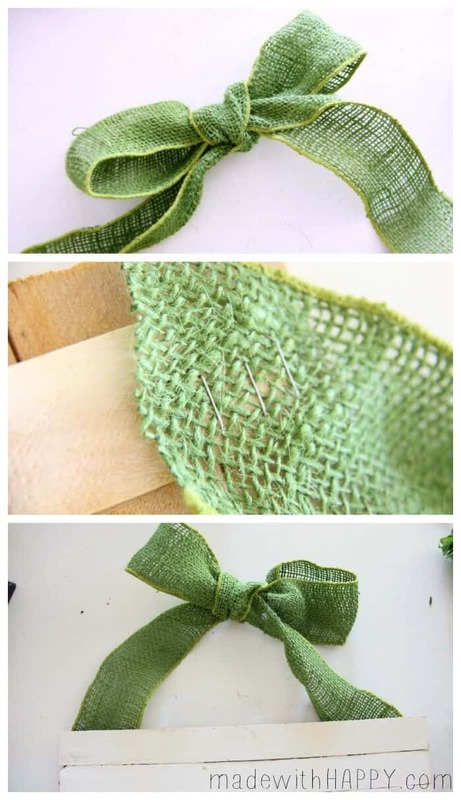 Here are full instructions on how to make a burlap bow. Then using the stapler, staple the ends to the back of the panel. Easy peezy! Next, we used two small eye hooks and some floral wire to mount the bunny to the back panel. I laid the bunny down and then placed the eye hooks right where the bottom circle meet and where the top of the bunny’s head. Make sure they are behind the bunny, so you won’t see them. 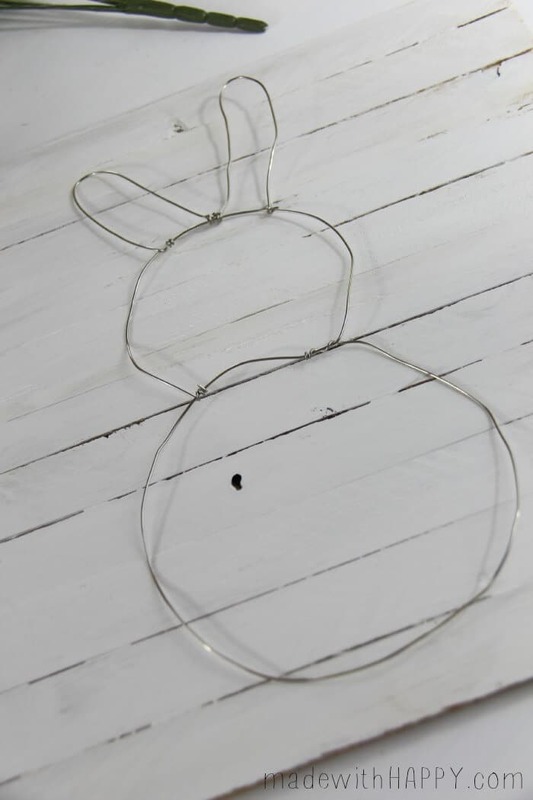 Using the floral wire, tied the bunny down to the eye hook. 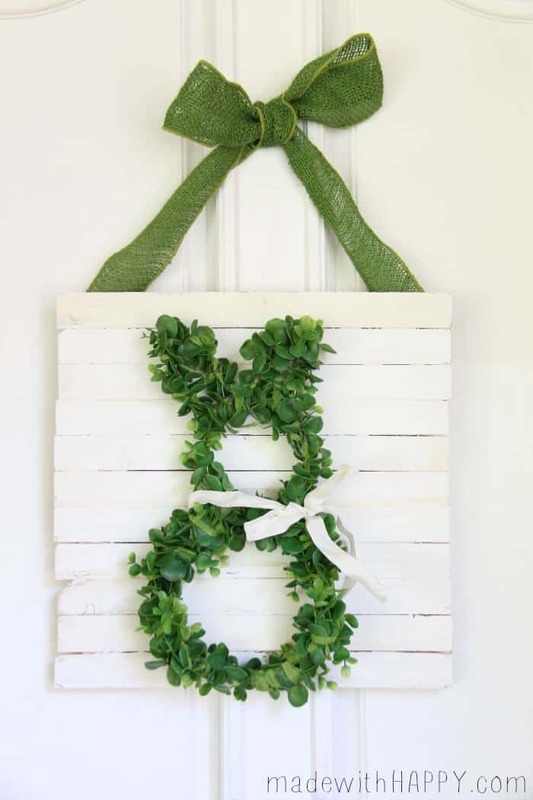 Viola, you have yourself a beautiful bunny door hang that will bright everyone’s day that comes to visit. 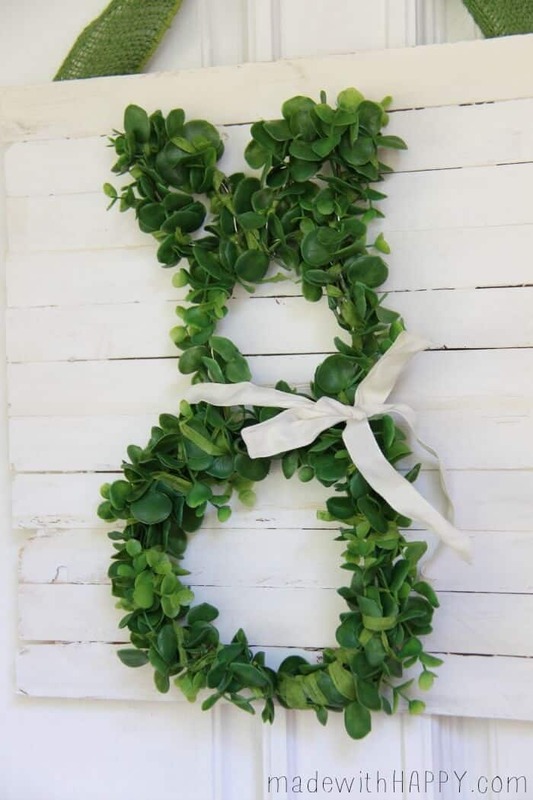 Looking for more Easter Crafts and Inspiration? Check out these fun Easter Crafts. Alli is the HAPPY maker behind Made with HAPPY, a creative lifestyle blog in the pursuit of all things HAPPY. The left-side of her brain is a skilled computer programmer, analyst, and statistician while the right-side loves to be covered in glitter, paint, pizza sauce and garden soil. She recently made the move from corporate marketing analyst to full time blogger. Alli’s days are now spent creating new fun craft projects for both kids and adults, food and drink recipes, parties and entertaining, DIY(Do-it Yourself) home projects, and travel and adventures. She’s a mom of two and wife to one. Visit Made with HAPPY for more fabulousness by Alli! !